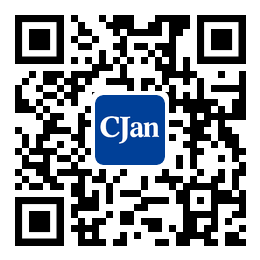 ﻿ Knowledge of silicone tubing food grade - CJan Fluid Technology Co., Ltd. The main ingredient of inorganic polymer colloidal materials, condensed by silicate, is SiO2 nH2O whose content is above 98%. It is non-toxic, tasteless and chemically stable. Under normal conditions, it can't react with any Carbonic acid alkali salt, except caustic and hydrofluoric acid. Owe to the colloidal structure, it has many micropores and a large specific surface area. The silicone tubing food grade belongs to environmental protection silicone. It is non-toxic, odorless, with high transparency. It's pore size is about 8-10nm and it's specific surface area is 300-500m2/g. Within a hydrophilic surface, it has strong capability to absorb water. In high humidity condition, its water absorption is up to more than 80%-100% of its own weight. Therefore, silicone tubing food grade can be used as an external desiccant for food and medicine. Because the edible silicone has been refined and sterilized, it can mix with food and medicine according to the demand to keep the food dry. It can be eaten together with the food without any harm to people. 5. Placed at normal temperature, it does not turn yellow, spray frost, spit white, or fade. Having been putted in water for a long time, it doesn’t have scales or peculiar smell.